LOS ANGELES — Los Angeles Lakers forward Brandon Ingram injured his left ankle in the first quarter of Wednesday night’s game against San Antonio when he landed on the foot of Spurs big man LaMarcus Aldridge. After an official’s review, Aldridge was called for a flagrant foul 1 for sticking his foot underneath the spot where Ingram was going to land when he attempted a jump shot. 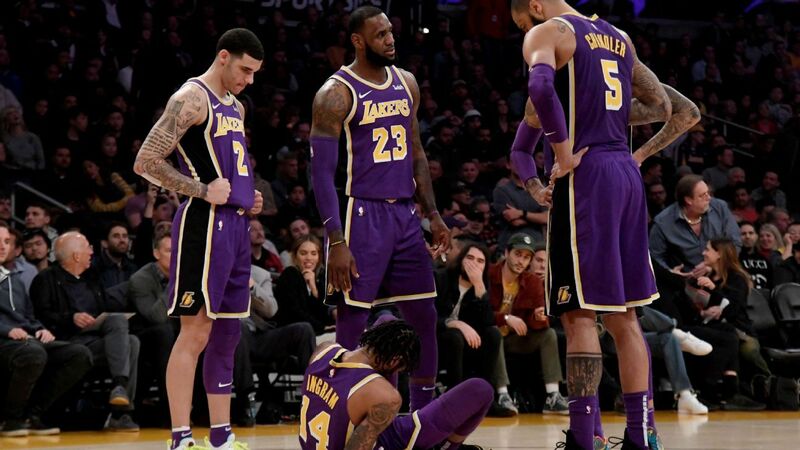 Ingram was on the floor in pain for a spell after the foul, prompting his teammates to surround him to check on his status.